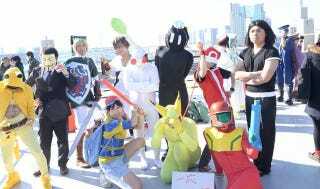 Comic Market, aka Comiket is a bi-annual 3-day indie manga event. But it's not just about manga. As the biggest and most famous indie manga event in Japan, cosplayers come out in droves. And this year's winter Comiket 85 was no different.